SEO and Google Ads Pay-Per-Click marketing are powerful search marketing methods. They can help you attract your target customers to your website and increase conversions and sales. Google Ads was previously called Google AdWords and rebranded to Google Ads in 2018. Search Marketing is the use of free and paid marketing methods to increase your website visibility and rankings on the search engines like Google, Bing and Yahoo. 1. Search Engine Optimization or SEO. SEO is free or organic search marketing. This group includes Local Search or Local SEO . 2. Google Ads Pay-Per-Click or PPC. Google Ads is paid search marketing. Google Ads PPC advertising is offered by Google. These search marketing methods can be used in different ways to increase website visibility and traffic. SEO and Google Ads PPC marketing are both based on keywords that are relevant to your business. By selecting the right keywords, you can focus your online marketing efforts on your target customers who are the customers most likely to purchase your product or service. By focusing your efforts on your target audience, you can increase conversions and sales. When you search on Google you go to Google.com and type in a keyword that describes the product or service that you are looking for. For example, if I were searching for a dentist in Plano, I would type in “dentist in Plano” into the Google search bar. Google then searches its index of millions of websites, and returns a list of results in its Search Engine Results Pages (SERP). 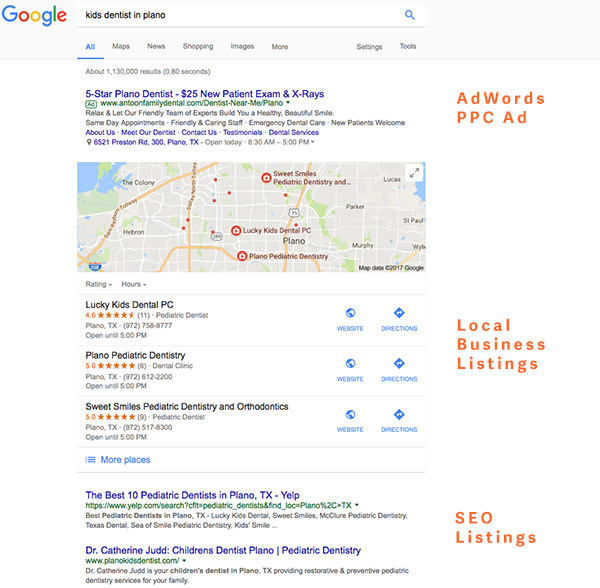 The search results are shown with the Google Ads PPC Ads at the top and bottom of the page; the Google My Business local listings follows this; and the organic SEO results are shown at the bottom. See the image above. You would then scan the search results pages and click on the result that best matches your search. When you click on the link, it will take you directly to the website of that business. Search engines are the most important source of new visitors to websites. It is estimated that 85% of customers begin their search for new products and services on the internet. • Number of online searches per day worldwide: 6.58 Billion. • Number of online searches per day on Google: 4.46 Billion searches. • Number of searches per day on Bing: 873 Million searches. • For online searches on desktops, 46.8% of CTR (click-through-rate) comes from the top 3 positions on Google search results pages. • For online searches on mobile, 58.97% of CTR (click-through-rate) comes from the top 3 positions on Google search results. SEO or Search Engine Optimization is a marketing method of optimizing websites and web pages to improve their rankings in search engines. 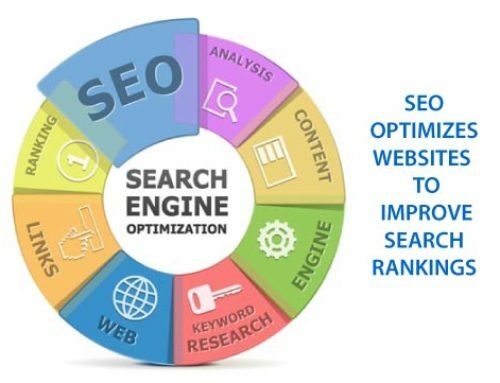 SEO helps to increase the quality and quantity of organic or free traffic that your website receives from the search engines. SEO helps to improve your website’s rankings in competitive search engine listings on Google, Bing and other search engines. With Search Engine Optimization, targeted traffic is directed to your website based on search keywords which are relevant to your business. 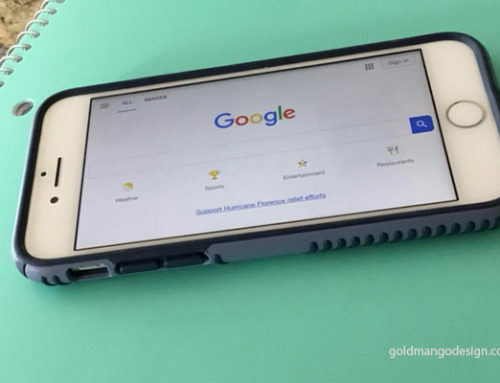 As you can see from the sheer volume of online searches taking place each day, your website needs to compete with millions of other sites to get to the coveted top pages of Google search results for your keywords. It is estimated that Google alone gets more than 70% of search traffic. Your website needs to rank well on the Google search listings so that customers can find you when they search online for your products and services. The Google search ranking algorithm is extremely complex and keeps changing. There are over 200 factors that Google considers for ranking a site on their search results. Your website needs to be optimized for SEO to rank in the top pages of Google. Even the most beautiful website will not get any traffic from the search engines if it is not optimized for SEO. SEO is based on keywords and keyword selection is very important. Search Engine Optimization of your website includes optimization of meta tags, content, images, urls, blog articles, links and more. SEO optimization should be ideally done during website development. It can also be added later to existing websites. Search Engine optimization is not a one-time effort. It has to be a continued effort to keep your web pages ranking well on Google search listings. Search engine optimization is based on search keywords that are relevant to your business. Once your website is optimized for SEO, it can take a few months for SEO optimization to take effect and for your website to rank on Google. However, SEO has many advantages that can help you attract your target customers to your website to increase conversions. 1. SEO is free marketing on the search engines. You do not have to pay Google or other search engines for SEO marketing. It costs much less to use SEO for marketing than traditional advertising methods like TV, radio and print ads. 2. SEO helps you get targeted traffic from the search engines. SEO optimization is based on carefully selected keywords that are relevant to your business. Only customers who use those search keywords for searching online are directed to your website. 3. SEO can help you get more leads and sales. The customers who are sent to your website are your target customers. They are actively searching with relevant keywords for your products or services on Google. They are more likely to convert quickly to leads or make purchases. 4. Measurable Performance and Results. Sources of website traffic and top landing pages can be tracked using Google Analytics. You can also set up and track conversions. This can help you optimize your website further to attract the right customers. 5. SEO is for the long-term. Since SEO Is free marketing on the search engines, your website will remain on the search listings for the long-term. However, you need to continue optimizing your website for SEO to maintain your search rankings on top pages on Google. Websites that rank on page 1 of Google can receive significant traffic and visibility from SEO. Search rankings can be very competitive on Google since you are competing with millions of websites to rank on the top pages. Maintaining your ranking on the top search results pages will require continued SEO optimization. People search everyday for products or services near their location. These are local searches. Local Search marketing is very important for local businesses. When customers search for a product or service in their local area, you want your business listing to be shown on Google. • 50% of people who searched for local information on smartphones visited a store within 1 day, and 34% of those who searched on a computer. • 18% of local searches made on smartphones led to a customer purchase in one day as compared to only 7% of non-local searches. 2. The SEO optimization of your website has to include the local city information in key Meta tags, headings and content. Once you list your business information on Google My Business (https://www.google.com/business/), Google will mail you a postcard to verify your business. Once verified, it will be added to their listings. 1. It is free to list your business on Google My Business. 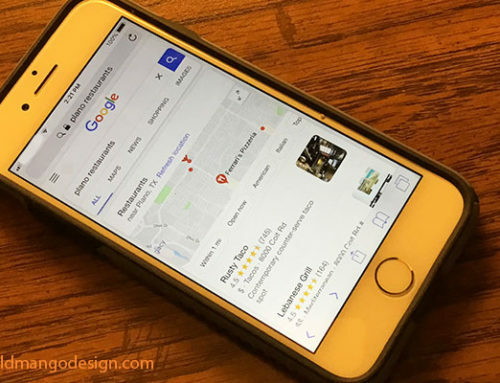 Listing your business on Google My Business is essential to come up on Google Maps and Google My Business for a local search. 2. Your business information will display on Google when a customer conducts a “near me” search. 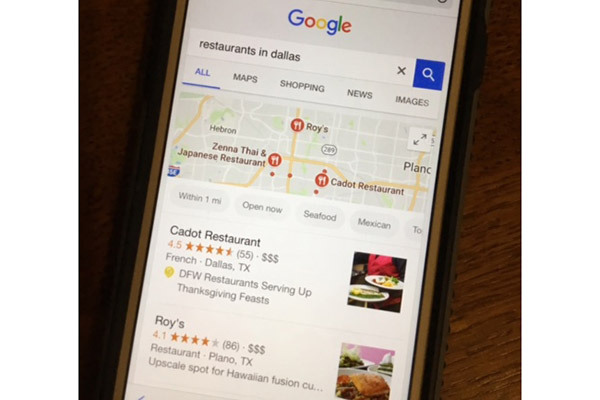 For example, if a Plano customer is looking for “restaurants in Dallas”, the local businesses that match that search will come up. See the first image on top of the page. 3. Your business address, phone, hours, pictures, map and reviews will all be listed for free on Google. That’s better than expensive print ads. 4. Local search listings can bring targeted customers. These customers are already searching for the nearest business that offers the product or service. They are highly motivated customers. 5. Local Search builds trust and credibility. Google verifies all the Google My Business listings by sending a postcard to the business address. Customers can trust that these businesses are verified. Google Ads is a pay-per-click advertising service offered by Google. 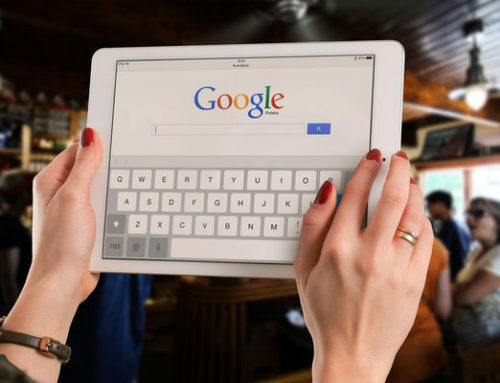 It enables businesses to run paid search and display ads on Google’s search results pages and partner websites that are part of the Google search and display advertising network. It was previously called Google AdWords. Google Ads PPC advertising is also based on keywords that are relevant to your business. Google Ads is an effective method of paid search advertising that can bring targeted customers to your website and increase traffic, sales and leads. The Google Ads PPC ads are shown at the top and bottom of the Google search results pages when people search using the relevant keywords. See the image in “the anatomy of Google search”. To use Google Ads PPC marketing, you have to open a Google Ads account and then set up your campaigns to show your ads. Since it is Pay-Per-Click advertising, you pay Google only when a customer clicks on your Google Ads. You are not charged for the ad impressions or the number of times the ads are shown to customers on their network. 1. Google Ads is paid search marketing. You have to allocate a budget for Google Ads advertising and set up a Google Ads account to pay Google for the PPC ads that are shown on their network. It is much less expensive than TV, Print or radio ads. 2. Google Ads is less competitive than SEO. Since it is paid search marketing, Google Ads is much less competitive than Search Engine Optimization to have your ads shown on the top pages of Google for relevant keywords. 3. Google Ads advertising is Quick. You can set up a Google Ads campaign and have your ads showing on the first page of Google within days. 4. Google Ads bring targeted traffic to your website. The Google Ads are based on keywords and are displayed on the Google search pages only when the right keywords are used in the online search. This effectively filters out customers who may not be interested in your services. 5. Google Ads provides a lot of precise targeting methods for your ads. You can choose to have your ads shown in specific cities or geographic areas and only at specific times of the day. SEO, Local Search and Google Ads PPC marketing are powerful search marketing methods of attracting target customers to your website and increasing visibility, sales and conversions. A combination of these methods can bring you the best results. When your website is new, you should get started on SEO optimization. Since it takes a few months to rank on Google with Search Engine Optimization, you can run a paid search Google Ads PPC campaign until your pages begin to rank well. Meanwhile, you can take advantage of local search to attract local customers to your business and build your brand. Search Engine Optimization, Local search and Google Ads PPC are all methods of inbound marketing that can help you promote your small or medium business in an affordable way. They are much less expensive ways to attract target traffic and visibility than traditional outbound marketing methods like radio, TV or print advertising. Every business should make use of these methods to target the right customers and improve sales and conversions. First Published: May 16, 2017. Updated: January 11, 2019. • What is SEO or Search Engine Optimization? Gold Mango Design LLC. is a digital marketing company in Plano near Dallas, TX. We help small and medium businesses build a strong online marketing presence. Our digital marketing services include Mobile-Friendly and Responsive Web Design and Development, SEO (Search Engine Optimization) and AdWords PPC (Pay-Per-Click) marketing. Visit our website at https://goldmangodesign.com or contact us at Gold Mango Design LLC, Dallas.